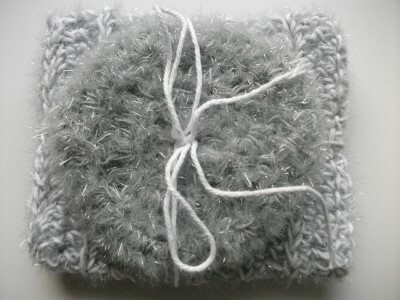 Each pack has a round scrubby and rectangular dishcloth. 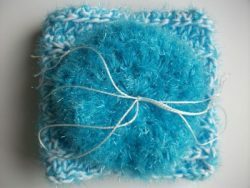 Scrubbies are 100% Polyester. Dishcloths are 1/2 scrubby polyester and 1/2 100% cotton. 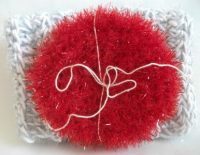 The scrubbies look like sea urchins! Machine wash in warm water or at top of dishwasher. Air or tumble dry low. Not for cast iron or other rough surfaces. 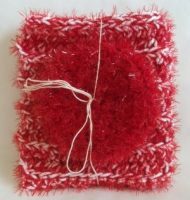 Small: 3 1/4″ to 3 1/2″ diameter scrubby; 6″ x 9″ dishcloth. 4 colors available in stock: grape, gray, light blue, strawberry. Mixed colors/mixed sizes are potluck – an attractive combo of 2 colors in varying sizes and shapes – $12.00. Special request colors: avocado, blueberry, lemon, licorice, marshmallow, orange, pink grapefruit, or watermelon. To special order a color, click on correct size and any color, and enter your request color in notes at checkout. 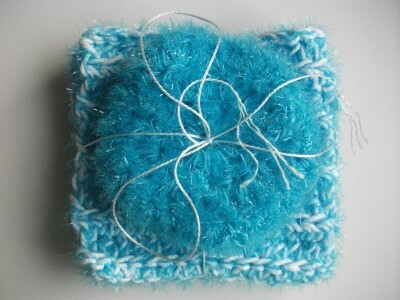 Please allow extra time for yarn delivery (1-7 days). 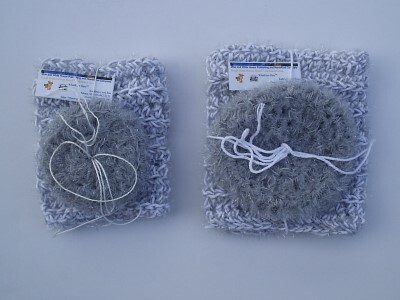 There may be an extra shipping cost for a special yarn order. You will be able to approve this or cancel your order.